Fast growing shrub or tree (if not pruned) with deep green leaves and creamy-white scented flowers appearing in spring/summer. Tolerant of most well-drained soils and situations, moderate frosts and dry periods. Grows well in full sun or shade. 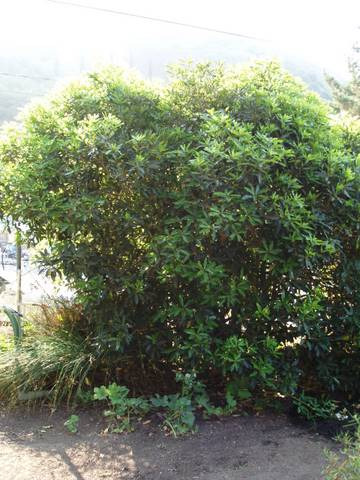 Plants tolerate hard pruning and has been used as a popular hedge for many years. Wood can be used for wood-turning.